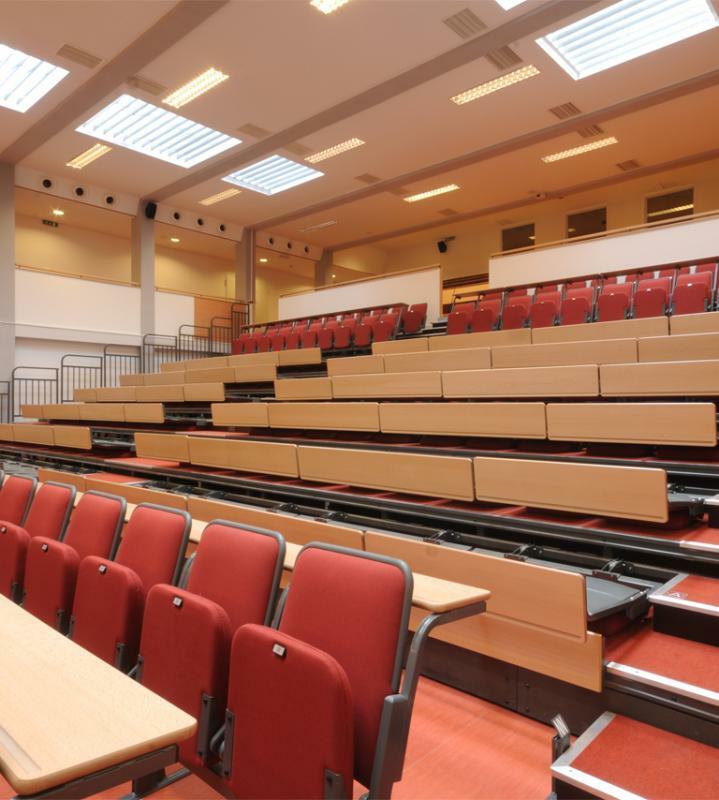 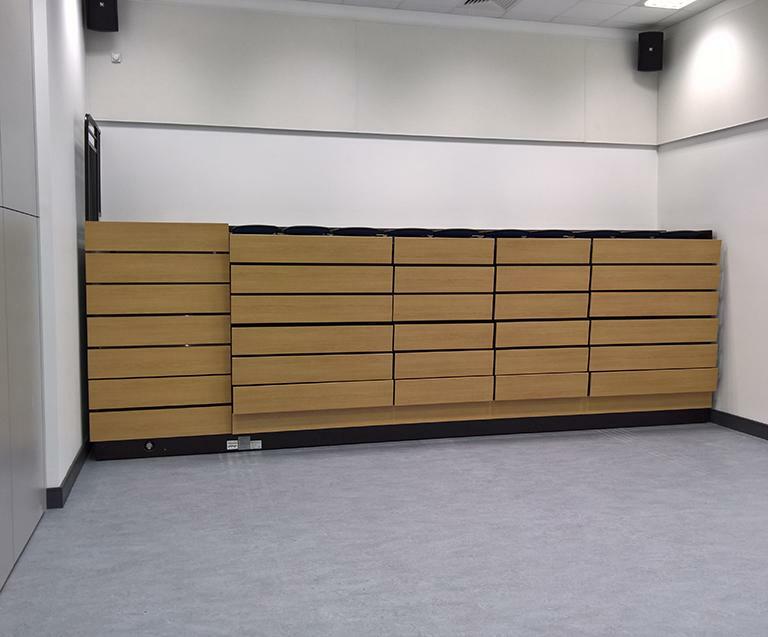 Our Campus Fold Down system uniquely combines the benefits of retractable seating with the functionality of a full continuous writing surface. 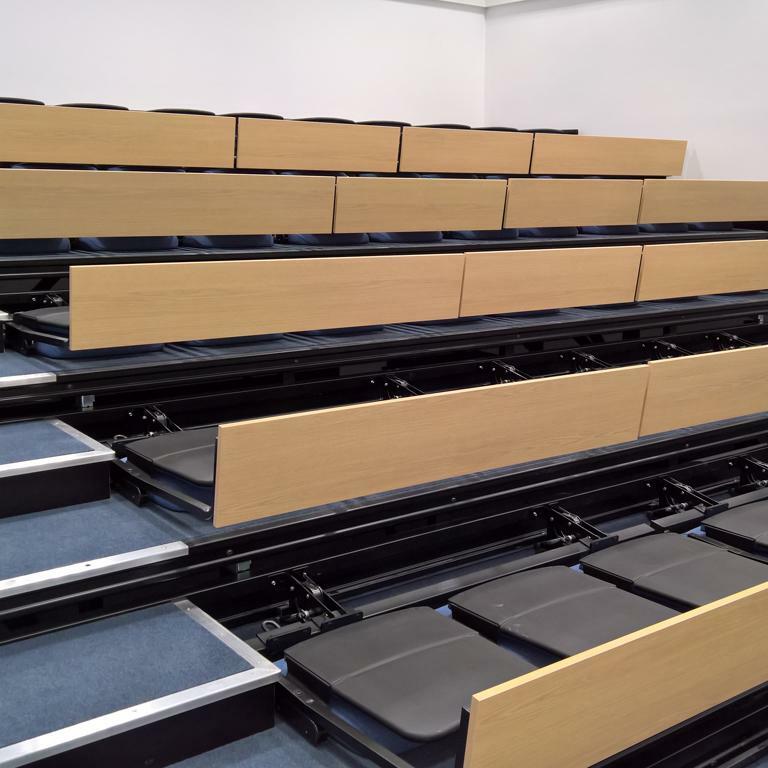 Campus Fold Down is available for use on TX Telescopic Platforms, or on the removable matrix system. Integral continuous writing tablet which forms a fascia when the telescopic platforms are retracted. 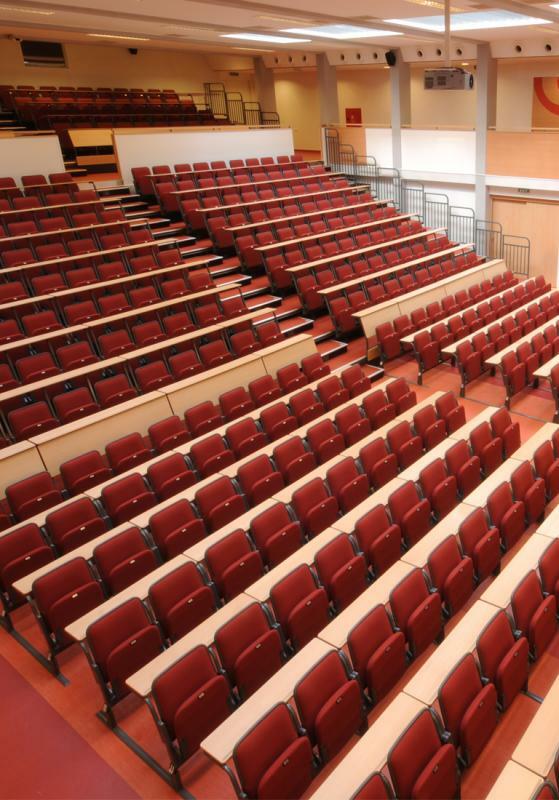 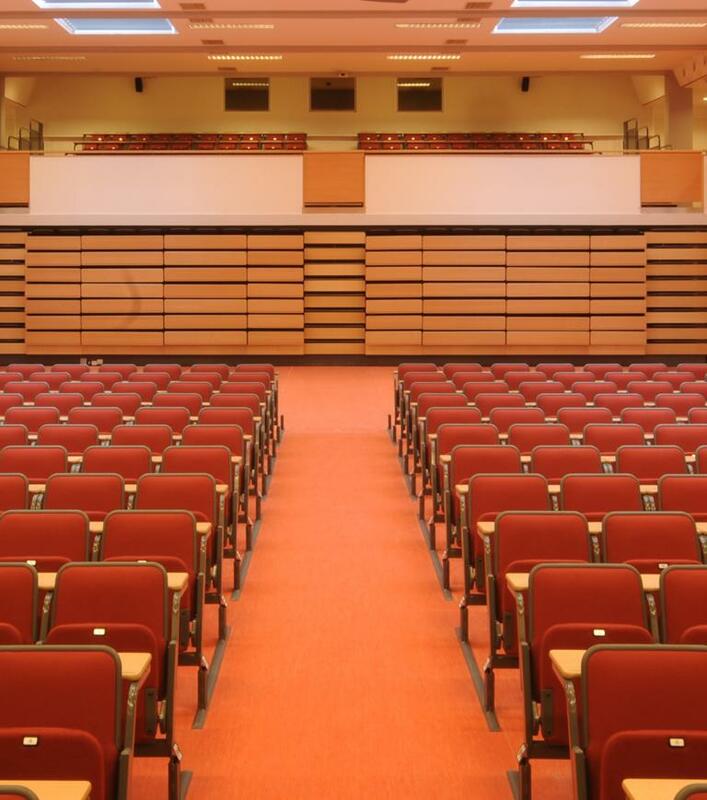 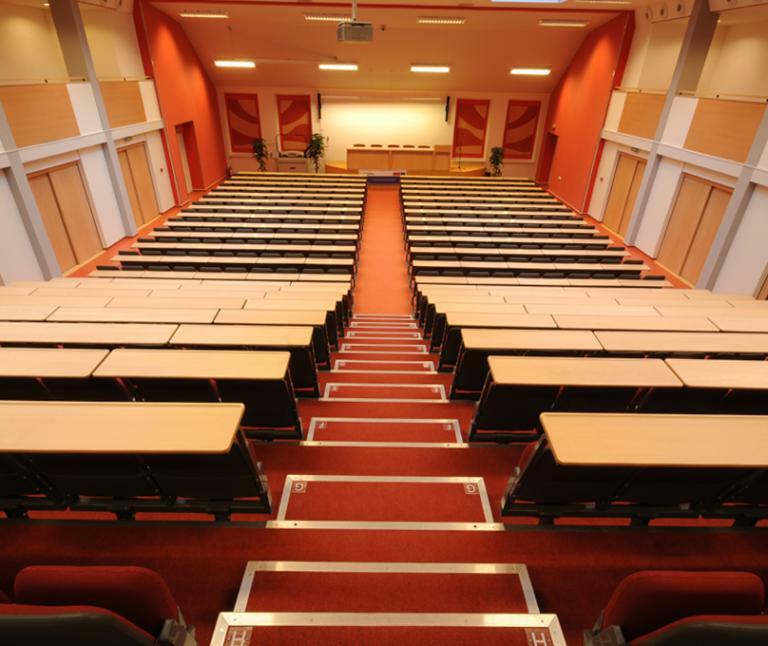 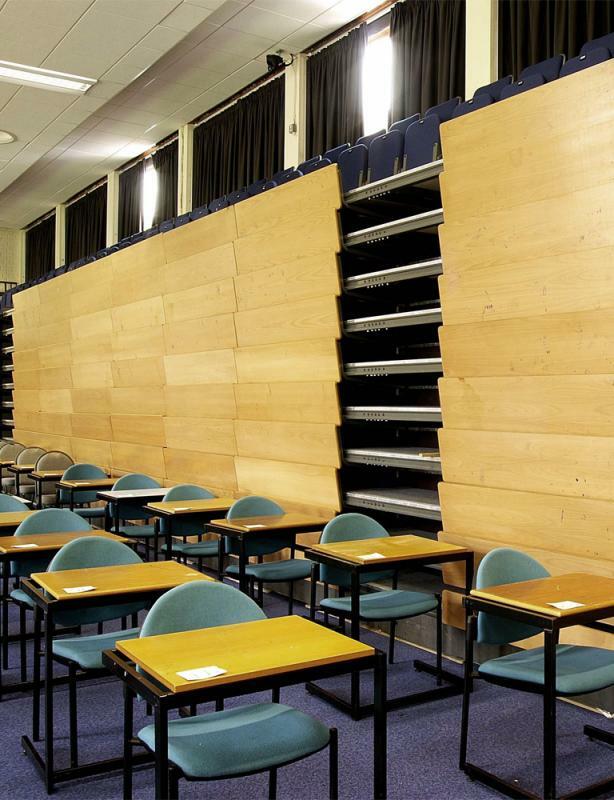 The system allows a conference centre to double as an exhibition space, or a lecture theatre to double as an exam hall. 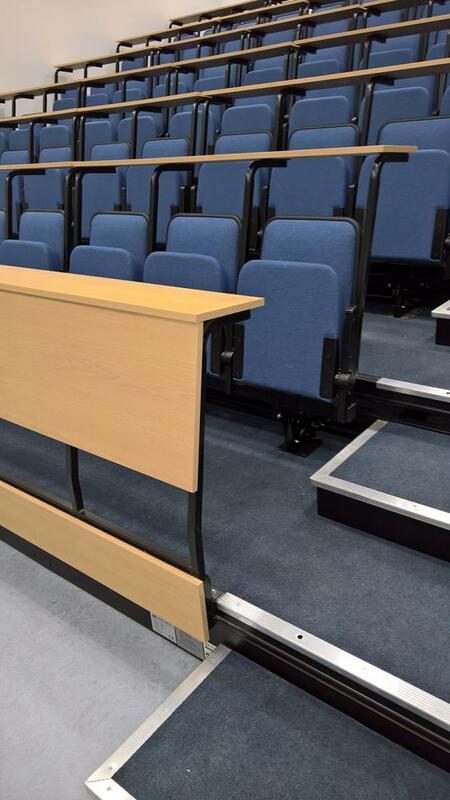 The Campus Fold Down system is based on the exceptionally durable Accolade chair which is certified to BS EN 12727(2000) level 4 and features a high performance enclosed pivot mechanism. 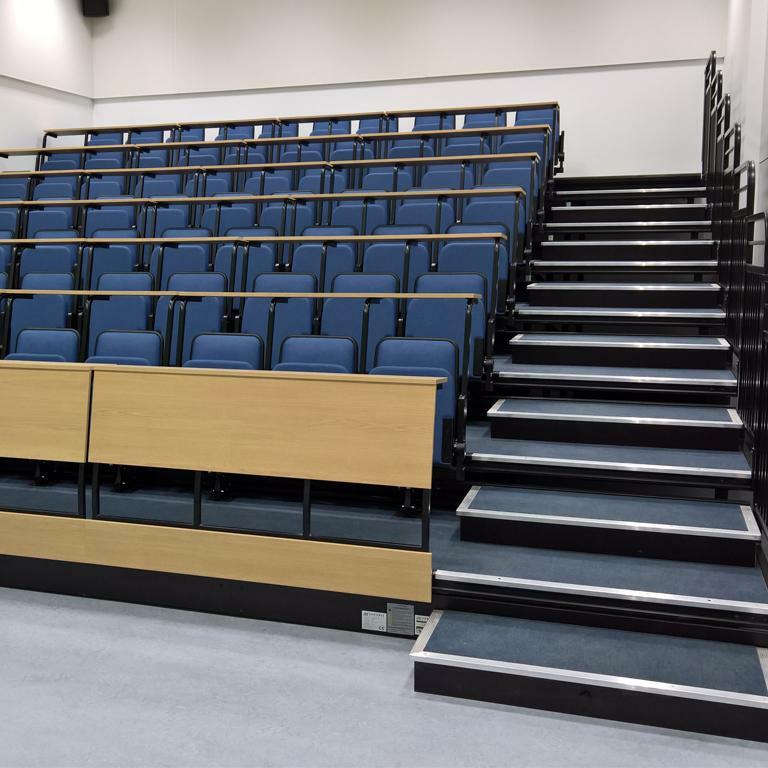 The chairs can be specified with wraparound plastic panels on the underside of the seat, significantly extending upholstery life. 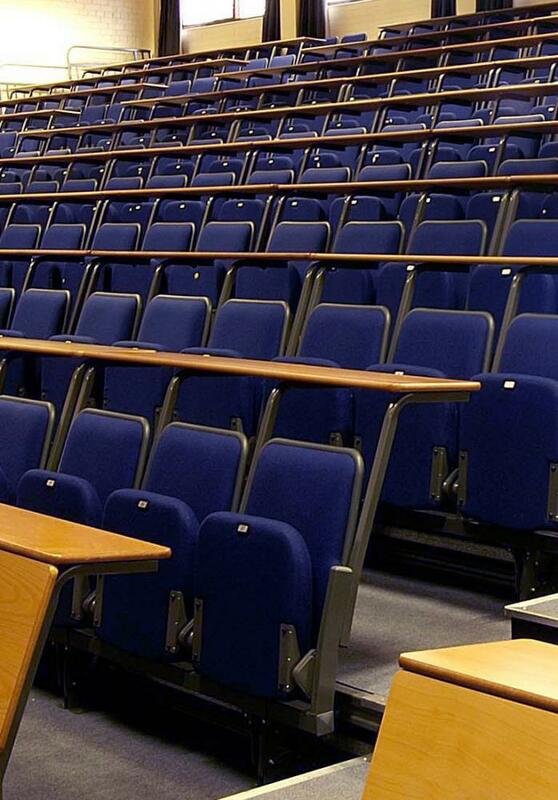 This option is perfect for schools and high-traffic lecture theatres.